PT Bank Pembangunan Daerah Jawa Barat dan Banten Tbk - PT Bank BJB Tbk or most commonly known as "Bank BJB" is a rapid growing public-listed financial services company in Indonesia with core competencies in the field of banking industry. 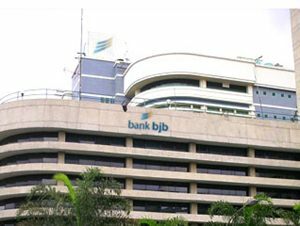 Headquartered in Bandung West Java, Bank BJB is majority owned by the regional government (provincial, regency and municipal) in the West Java and Banten provinces. As of December 2015, 38.26% of its shares (listed on stock excgange with IDX code BJBR) are held bythe West Java Provincial Government, 23.61% by the Regency/Municipal Governments in West Java Province, 5.37% by the Banten Provincial Government, 5.17% by the Regency/Municipal Government in Banten Province, 6.25% local individual investors, 7.25% by local institution investors, 0.025% by foreign individual investors and 11.48% remaining shares by foreign institution investors. Bank BJB runs its business through 62 branch offices, 312 sub branch offices, 326 cash units, 134 payment points, 11 Mobile Cash Service Units, and 1,204 Bank BJB ATMs throughout Indonesia. In 2015, Bank BJB posted positive financial performance. According to Bank BJB Annual Report 2015 as cited by JobsCDC.com, the Bank has successfully booked total net profit of Rp 1,381 billion in 2015, which increased 23.30% from Rp 1,120 billion in 2014. Bank BJB's total assets in 2015 amounted to Rp 88.69 trillion or increased 16.92% from Rp 75.86 trillion in 2014. Minimum education of Senior High School or equivalent (SMA/SMK). Minimum average national exam score of 7. Proportional weight with minimum height of 155 cm for Female and 165 cm. Maximum age of 21 years old per 1 August 2016. Single/not married and willing not to get married during the education training and bond periods. JobsCDC.com now available on android device. Download now on Google Play here. Please be aware of recruitment fraud. The entire stage of this selection process is free of charge. PT Bank BJB Tbk - SMA, SMK Fresh Graduate Frontliner Customer Service Teller BJB August 2016 will never ask for fees or upfront payments for any purposes during the recruitment process such as transportation and accommodation.